Sadly for Harry outstanding courage and loyalty are no help when your enemy is the DWP. Leaked copies of the eighth Harry Potter book, Harry Potter and the Atos Tribunal, have confirmed speculation that this new book will see the former boy wizard all grown-up and struggling with life in David Cameron’s Britain. 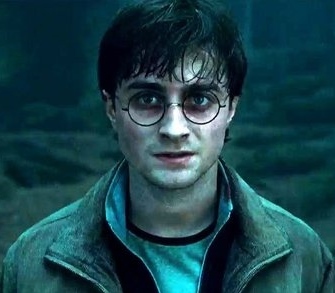 Now aged thirty-four the action starts with Potter being declared fit for work by Atos despite suffering from crippling PTSD brought about by his traumatic teen years which saw him forced into being a child soldier by the late Professor Albus Dumbledore then both witnessing and taking part in many acts of fatal violence. During the course of the novel we see the slow erosion of Harry’s life from 2010 onwards as first the day centre he attends and then his social worker and finally the out of hours mental health team are all cut. Sadly for Harry his friends are unable to offer much help because Ron Weasley is a full-time carer for his elderly parents who live with him in a cramped flat having been forced to leave The Burrow following the introduction of the bedroom tax while Hermione Granger, a former civil servant, is on the run after blowing the whistle on Theresa May’s insistence that at least seventy percent of asylum seekers be handed over to Dementors regardless of personal circumstance. In the latter half of the book JK Rowling cranks up the action as Harry tries to fight the powers that be and discovers that all over the country there are people who’ve experienced nothing but the pointy end of the coalition government stick. He finds solidarity and companionship before winning his Atos tribunal then being given all the money he should have received since his benefits were unjustly stopped. So far reaction to the new book has been lukewarm at best with the general consensus being that it starts off well but the ending is just escapist fantasy. The bedroom tax on 12 Grimmauld place, will have taken most of Harrys’ gold from his vault at Gringotts too. I hope he will get a huge rebate from Lambeth council.